The Falkirk Wheel is a perfect example of functioning and modern architecture. Located in Scotland, it was designed to reconnect the Union Canal and the Forth and Clyde Canal. It serves as the only rotating boat lift in the world. The two canals had previously been joined by a fleet of locks, but in 1933, the locks had been dismantled. Officials then pondered what could be done to connect the two waterways. Hence the idea for the Falkirk Wheel was born. Completed in 2002, the engineering marvel measures 35 meters tall. 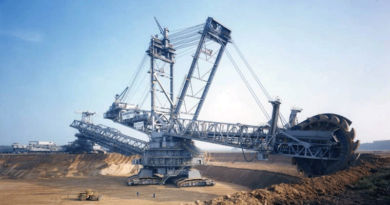 It took over 1,200 tons of steel to create along with 1,000 construction crew members. Amazingly the wheel only uses 1.5 kilowatts of electricity per hour to turn, powered by ten hydraulic motors. 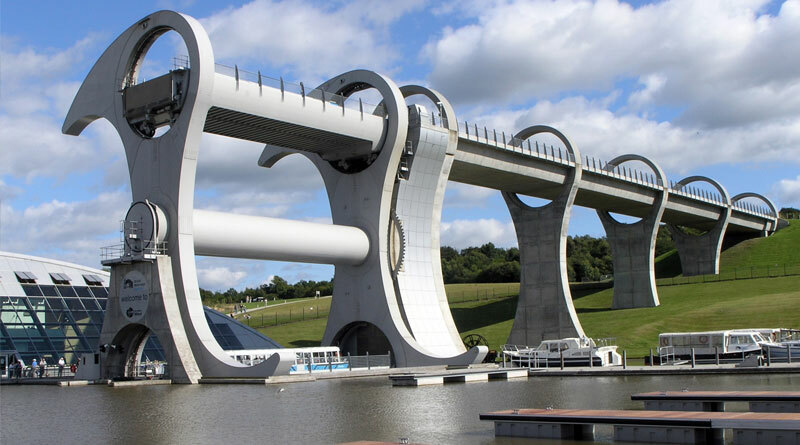 The Falkirk Wheel can carry at least 8 boats at one time, taking about an hour to get from one canal to the other. Boat trips are offered so visitors can experience The Falkirk Wheel. Not only is the wheel an impressive piece of machinery, it also serves as a major landmark in Scotland.